You can find a fantastic blog about sensory spider’s webs at House of Burke on the link below! 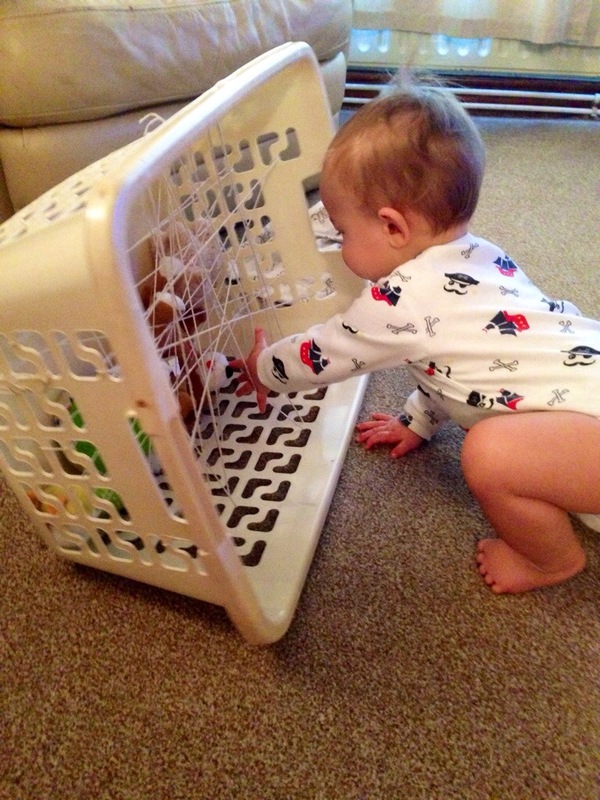 We had some string handy from his discovery basket and, as I finally did the ironing, the laundry basket was empty and ready to play with. It couldn’t be more simple! Take a basket and some string or wool, and thread it tightly in any pattern you desire. 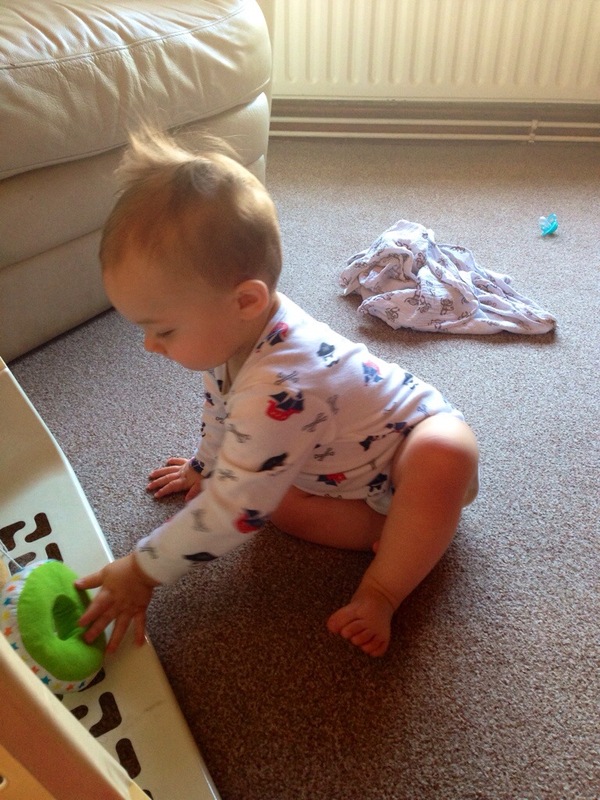 Make sure to tie off he ends securely to minimise the risk of baby getting tangled up! Hide some toys or discovery basket items. I decided to use teddies as I was feeling a bit dramatic and liked the damsel in distress aspect. Yep. I’m that weird. 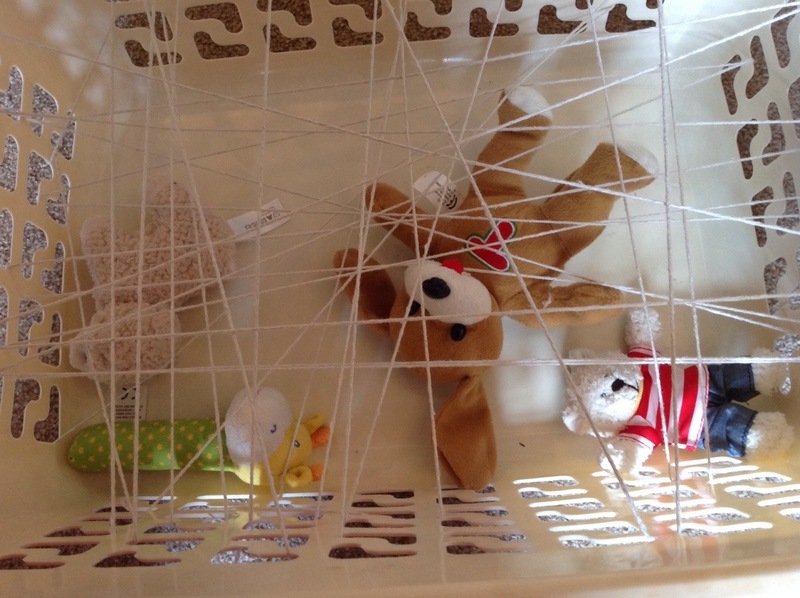 I left the spider’s web next to Buddy’s normal discovery basket. Predictably he made a bee line straight for it! 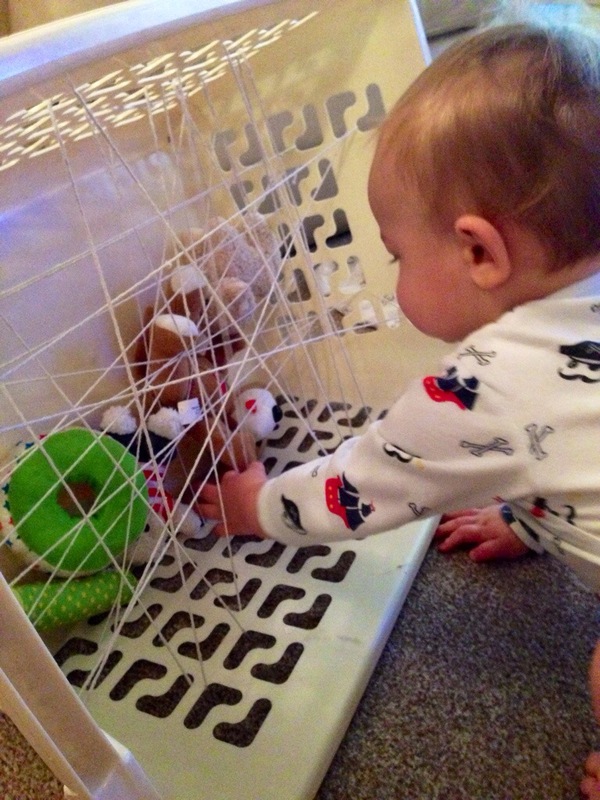 He enjoyed working his hands through the different layers, trying to reach the toys. Pulling the toys out proved challenging but Buddy found it hilarious. At this point I was telling him to hurry before the big hairy spider came. He worked hard to rescue his toys. Finally he rescued his hoop and was very proud of himself. And all of this fun before breakfast! It took a good ten minutes for Buddy to rescue his first toy. After that he developed a technique and managed to free all of the others in under five minutes. You can make this as simple or as difficult as you want. 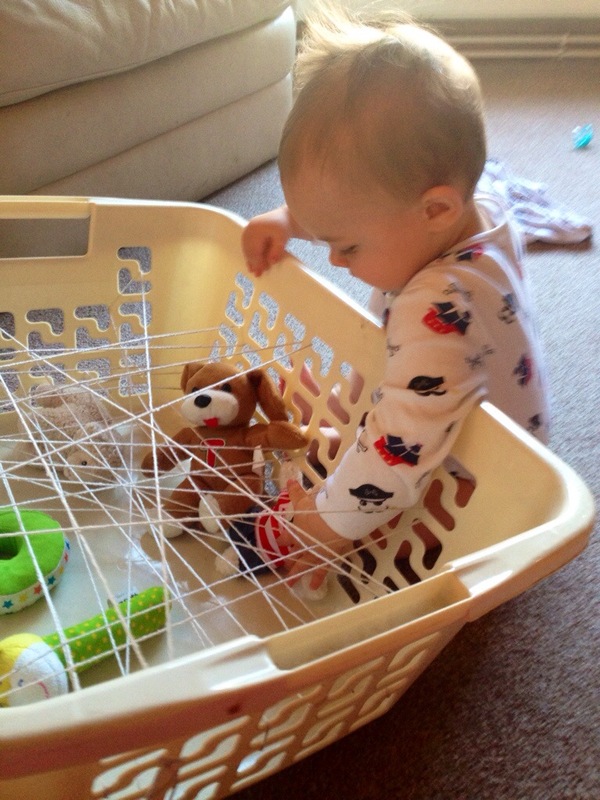 Make the web more complex and include bigger toys or larger objects for an older child. Can only be used on the rare occasion that there is no ironing to be done. So have fun folks! I’ll be back with my buggy sensory board when I find a glue gun! Excellent! I hope your little one enjoys it! Can’t wait to try this with my daughters! Guess this is incentive to do all the ironing. I know that feeling! Hope you have fun! Haaa, what an idea! Will make it tomorrow for my 10 month miss Do-not-seat-at-place! Thanks for sharing! 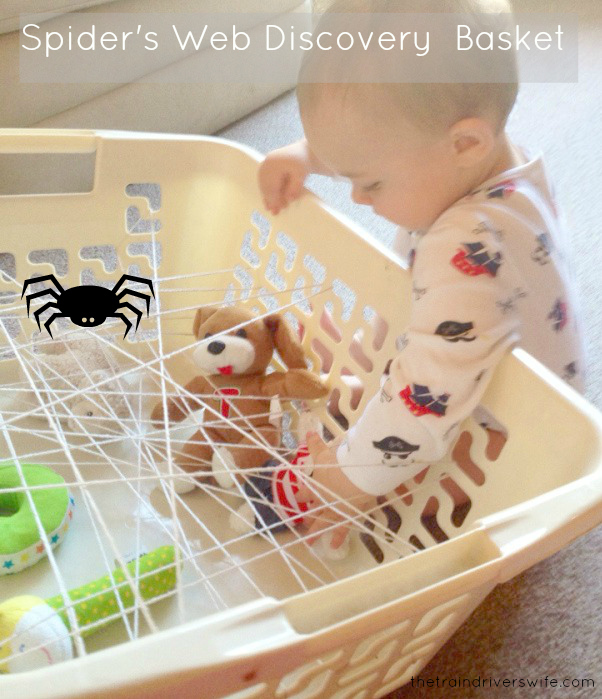 This is so god, i wish i did it with my baby but this activity is really important for your toddler’s fine motor skills thank you for sharing .